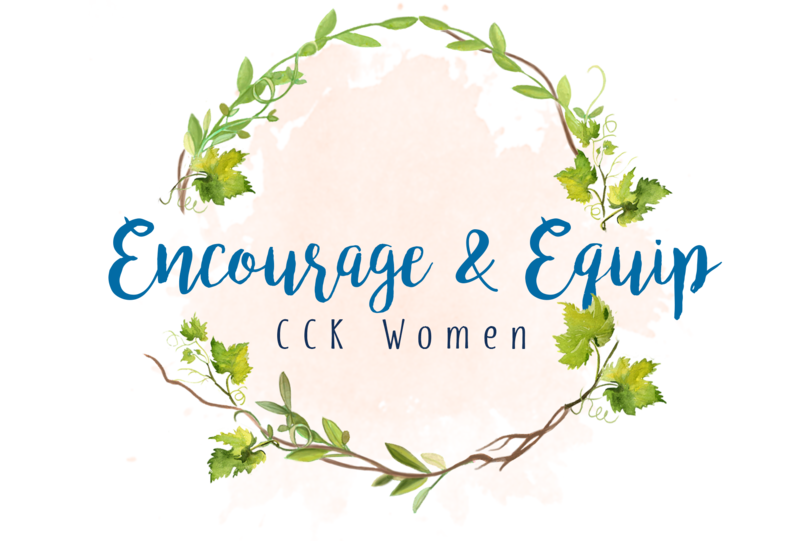 The Women’s Ministry at Christ Church is a place where women are encouraged to use their gifts in equipping other women, raising children, and serving in the Church. Women are an essential part of a vibrant church, and Christ Church is no exception. Women's Ministry provides opportunities for one-on-one time with other women, Bible study, prayer support, and fellowship for the ladies of Christ Church. WM brings women together to serve and build deep relationships. If you are a woman who is a member or a regular attendee at Christ Church, you ARE part of our Women’s Ministry. We are here to serve you. If you have any questions, please contact our Women’s Ministry leadership team individually or through the church office. During the school year, we meet once a week on Thursday mornings at 10:00 AM or on Wednesday evenings at 7:00 PM to study and learn from the Scriptures. Childcare is provided. This past year we have studied 1 & 2 Peter (Sarah Ivill), the Sermon on the Mount (Jen Wilkin), and Closer Than a Sister (Christina Fox). We will begin a new study in January 2019 on Nehemiah. As a church, we are reading through Sarah Ivill’s book Covenantal Life and discussing it on our Facebook Group. Please watch your email for upcoming announcements. Occasionally, the Women’s Ministry sponsors various fellowship events. These include times of sharing crafts, having lunch at a special restaurant, or having a time for moms and children to get together. Preparing and mailing care boxes is a special ministry to our college students prior to final exams in the spring. The Ladies' Fellowship is a wonderful opportunity for the women of Christ Church to build and to strengthen friendships, and encourage each other in their walk with Christ. Please check our calendar for the dates and description of fellowship events and make sure you are on our CCK email list to receive updates and descriptions of upcoming events. In Titus 2:5, women are instructed to teach and disciple other women for the building up of the body of Christ. This discipleship is informational, relational, and transformational. Because this small group model requires a year-long commitment, we will be starting a new group in September. During the first year together, groups study the book Spiritual Mothering by Susan Hunt and meet twice a month together. While we don’t “match” older women with younger women specifically, our hope is that when all participate together, we create a culture where women of all ages seek one another out for prayer, encouragement, and growth. Having a church family come alongside during times of joy as well as sorrow can certainly be a comfort. Our hospitality team coordinates showers to welcome new babies and send off new brides. We also work with bereaved families to help where needed by offering food and assistance. We also work with the Global Missions Ministry Team in preparing the mission conference luncheon. For a special church-wide event we are there to provide willing hands to cook, serve, and welcome our guests.